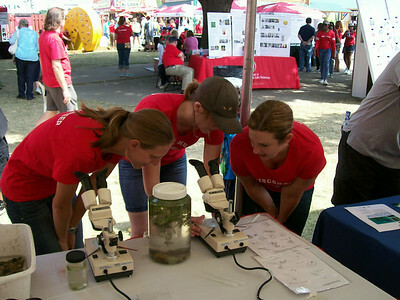 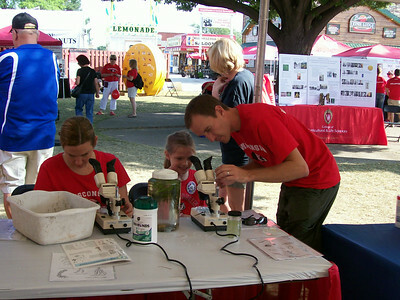 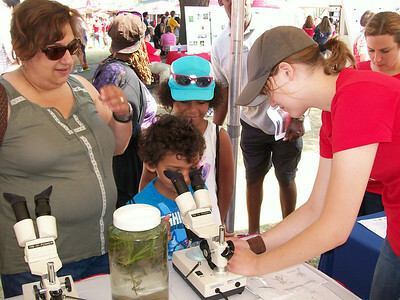 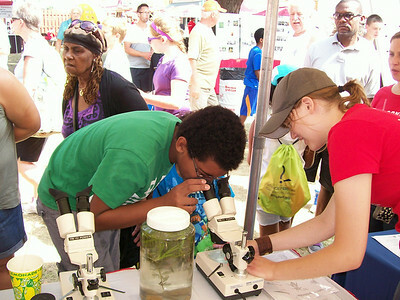 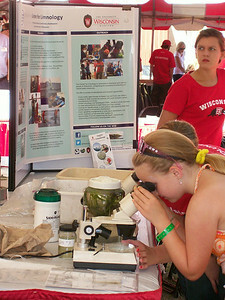 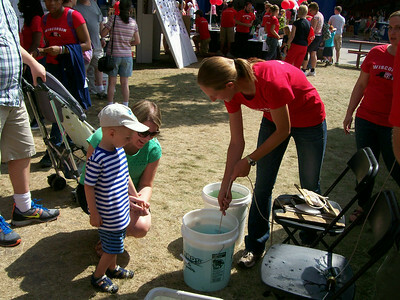 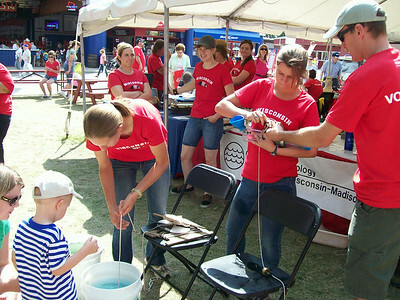 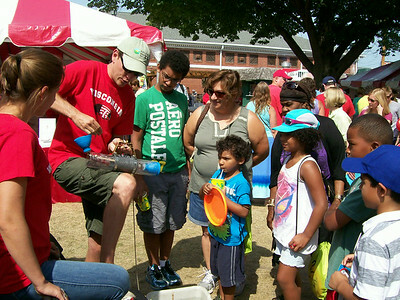 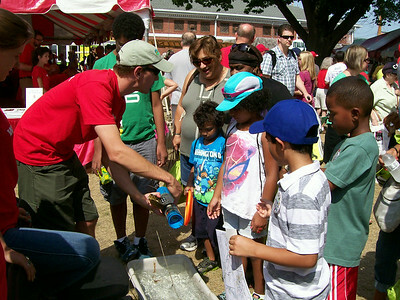 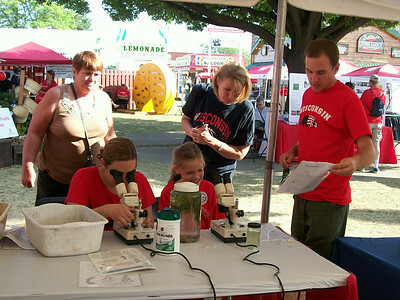 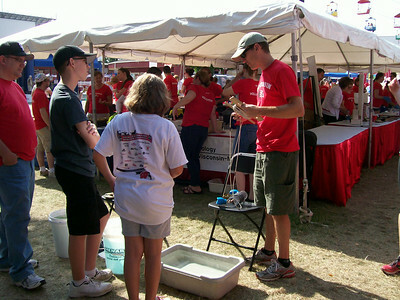 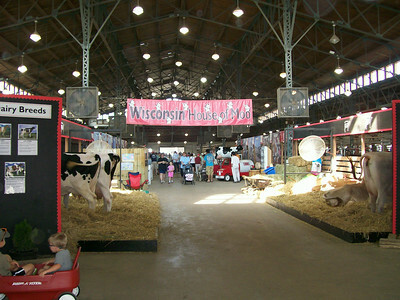 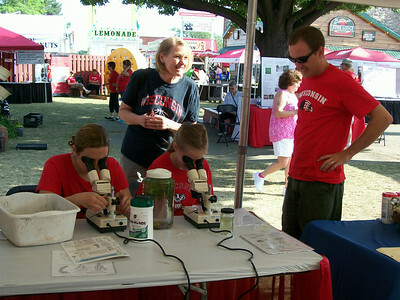 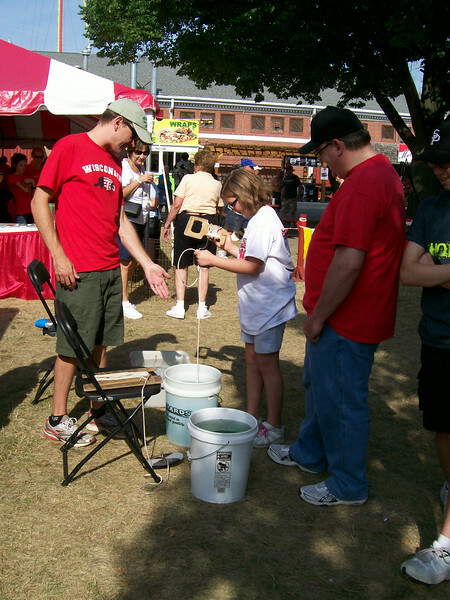 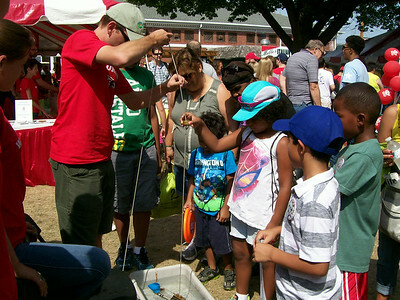 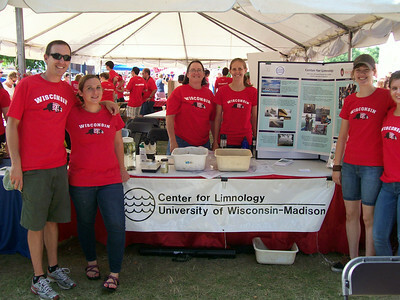 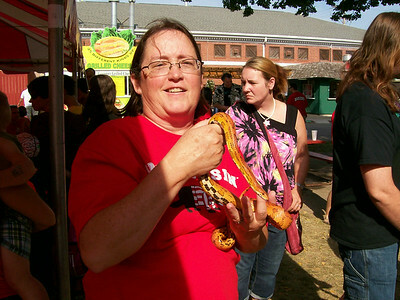 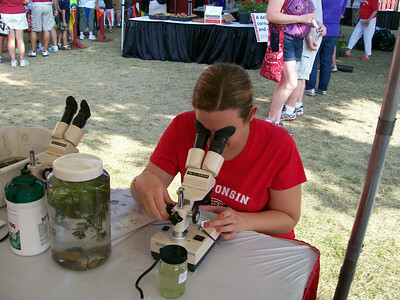 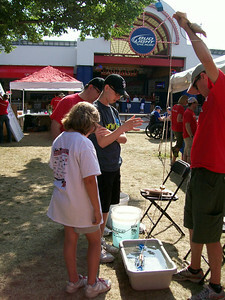 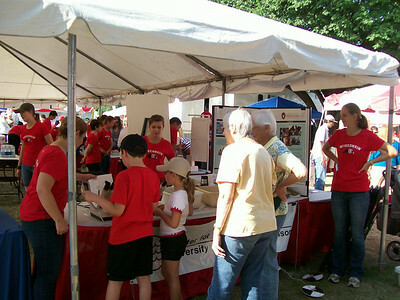 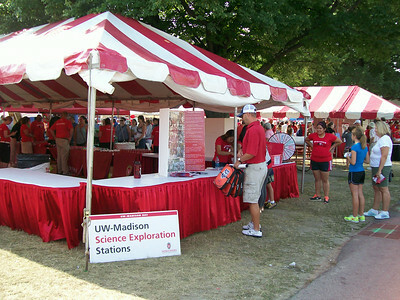 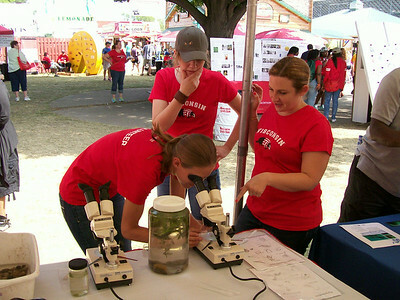 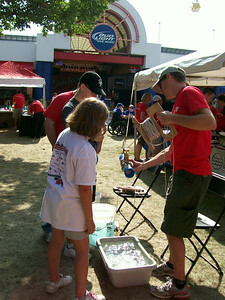 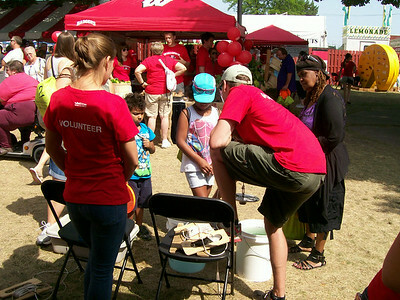 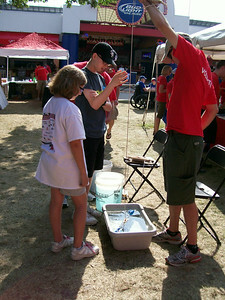 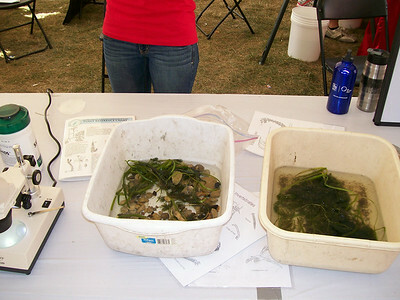 The Center for Limnology was part of the University of Wisconsin day at the WI State Fair on August 6, 2014. 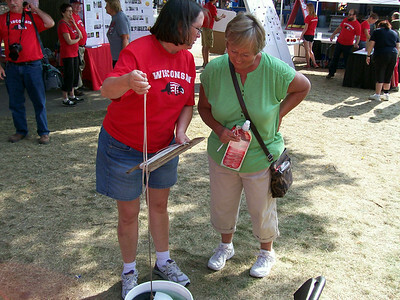 Enjoy pictures of staff and volunteers excited to talk about limnology as well as sites of the fair -including fair foods (on a stick). 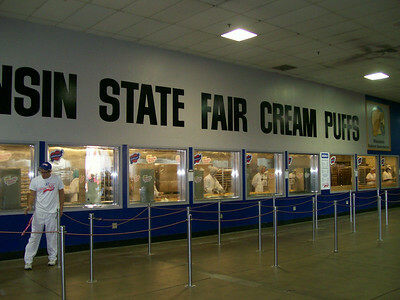 The Cream Puff - the State Food. The orange cone during construction - the State Flower. 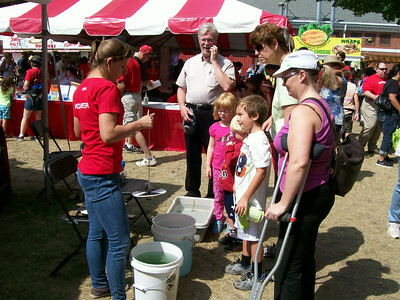 Center Assistant, Kelly O'Ferrell, started in April and, in her own words, "can talk Secchi and Van Dorn 'till the cows come home" after a day at the State Fair!